Gold prices received a boost of about 1% on Wednesday as minutes from the Federal Reserve’s mid-September meeting were released. The minutes showed concern from the central bank about the strengthening dollar and weak economic growth in Europe and Asia. Officials worried at the Sept. 16-17 policy meeting that a burgeoning U.S. dollar could impact the domestic economy, reducing the cost of imported goods and services. The dollar has advanced against other currencies for 12 straight weeks as of Friday, according to the ICE Dollar Index. The minutes also showed Fed officials were worried that disappointing growth in Europe, Japan and China could crimp U.S. exports. Fed officials also noted in the minutes that “economic activity was expanding at a moderate pace in the third quarter” (see the full minutes here). There has been internal debate for some time now over if and when the Fed should raise interest rates from their near-zero levels, with more hawkish members pushing for rates to be hiked sooner rather than later. However, the consensus reached at the September meeting was to keep the Fed’s current language that rates will remain low for a “considerable time” depending on the pace of economic recovery, and to keep plans to begin raising them in mid-2015. The unemployment rate is expected to “gradually” decline over the next two years, while inflation is cast to be at or near the Fed’s 2% goal in 2016 or 2017. In related news, China is making moves to globalize its currency, which USA Today writes could challenge the dollar’s current position as a widely-used reserve currency. 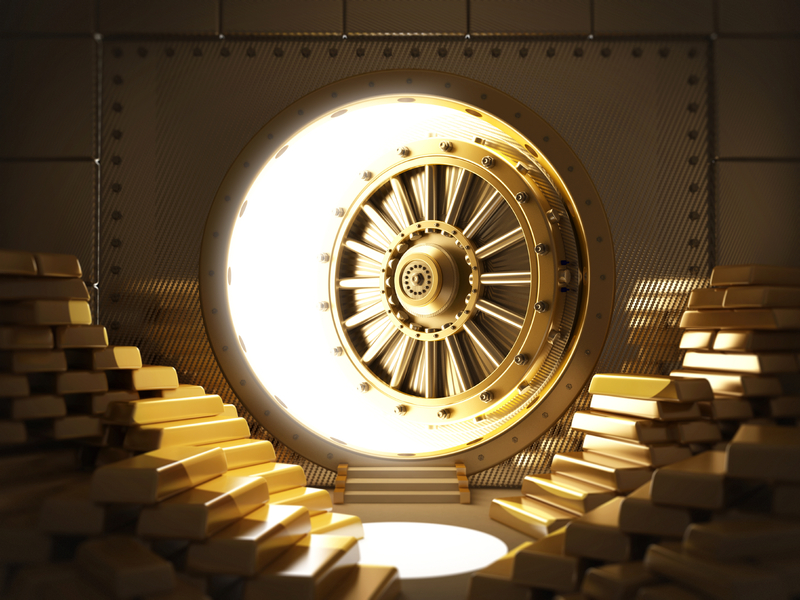 Gold can be your hedge against economic uncertainty. If you would like to diversify your retirement portfolio with physical gold or make a cash purchase, call American Bullion today at 1-800-326-9598 to speak with a specialist.